EveryStep Hospice patient Maurice Stamps loves to read and write. But at 103 years old, those hobbies have become increasingly difficult. Still, the former school administrator wasn't willing to give up his favorite pastime. Instead, he's found ways to get by... using two pairs of glasses, for one! 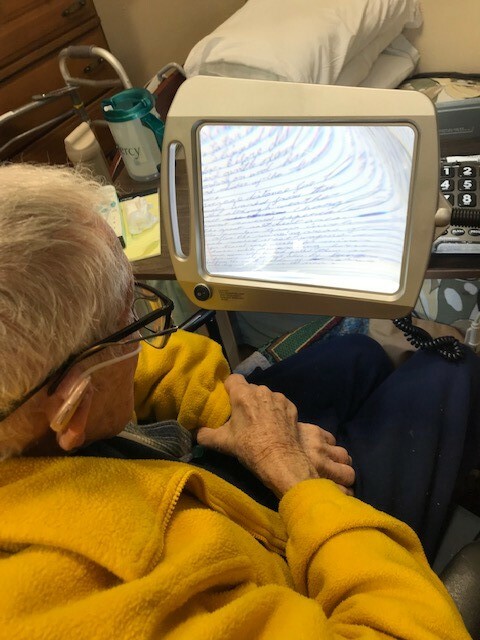 With Maurice in mind, his EveryStep Hospice team set out to find a more comfortable way for him to read and write by purchasing a book/page magnifier with lights. 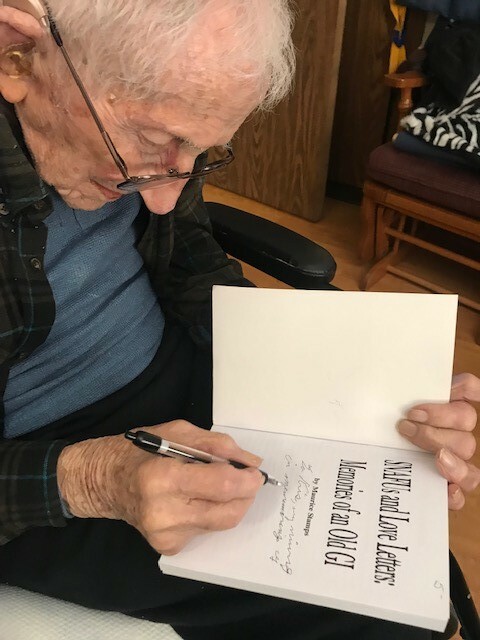 As an added surprise, when EveryStep nurse Kris Eastin gifted Maurice the magnifier, she also brought in a copy of his own book and asked him to sign it for her. The gesture "made my dad's entire week," Stamp's son said.